I mean I like bananas but not to that extent..LOL! Sometimes I make my Chocolicious Banana & Butterscotch Breakfast Bars to finish any leftover bananas. They are vegan and so scrumptious..you can’t stop at one bar! 😉.. So, coming to another very easy & yummy recipe that uses up all the over-ripe bananas rather than binning them. 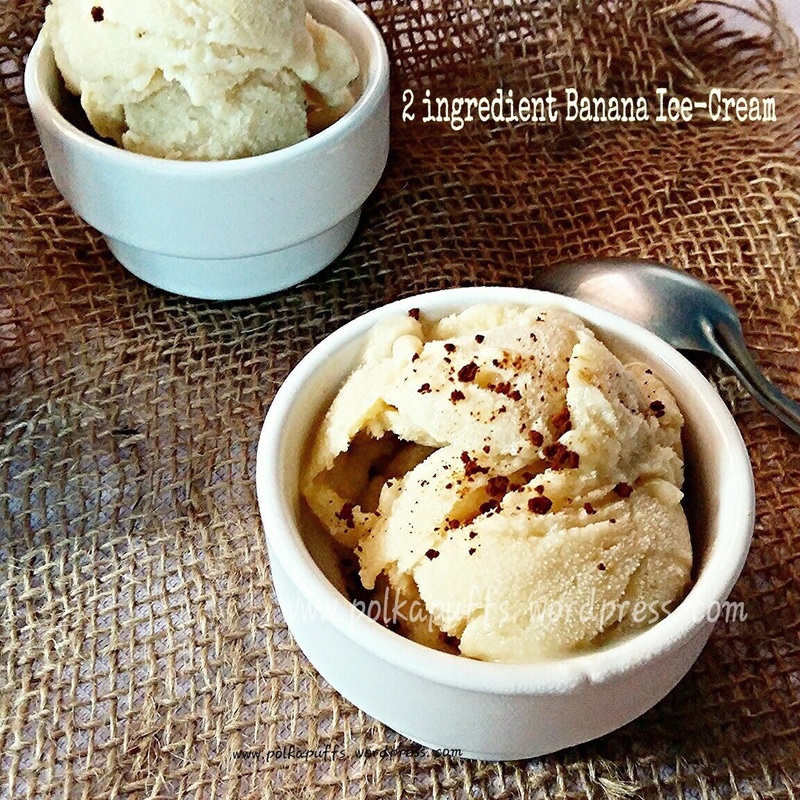 My 2 Ingredient Banana Ice-Cream ! This Ice cream is so much more fun because it’s done in a breeze…..just 5 mins of prepping.. no churning, no cooking..no eggs! Just 2 easy ingredients…and freeze the batch! That’s about it. And the taste is so fruity! If you ask me about the texture…well, I will let the pics speak for themselves ☺️ well coming to the recipe…there’s not much to it! Equipment: a blender, a an airtight container / any storage container that you can keep in the freezer. 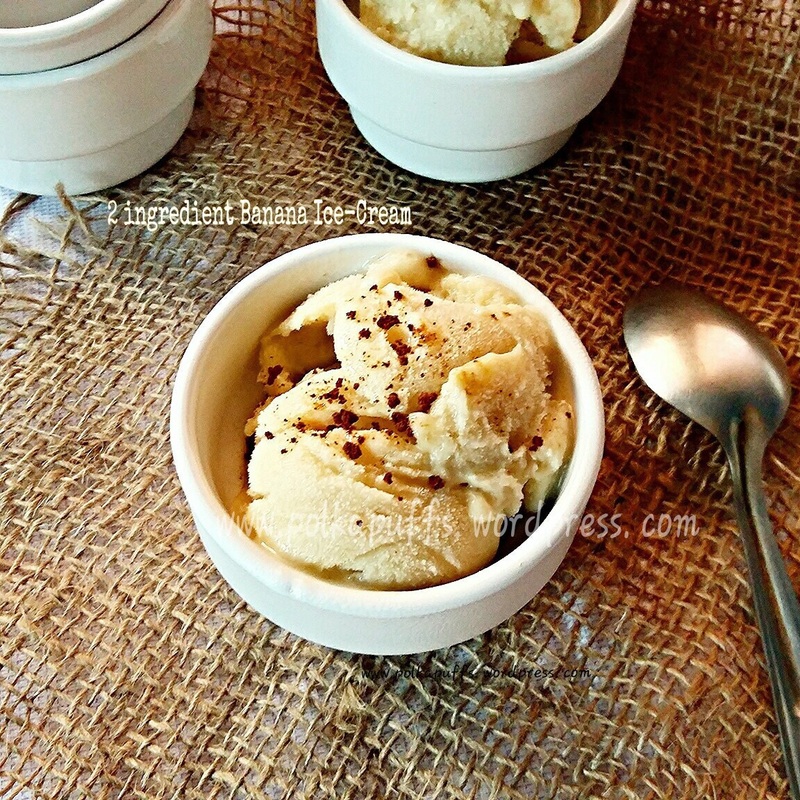 Pingback: Honey & Butterscotch Ice Cream (Eggless) | Polka Puffs! 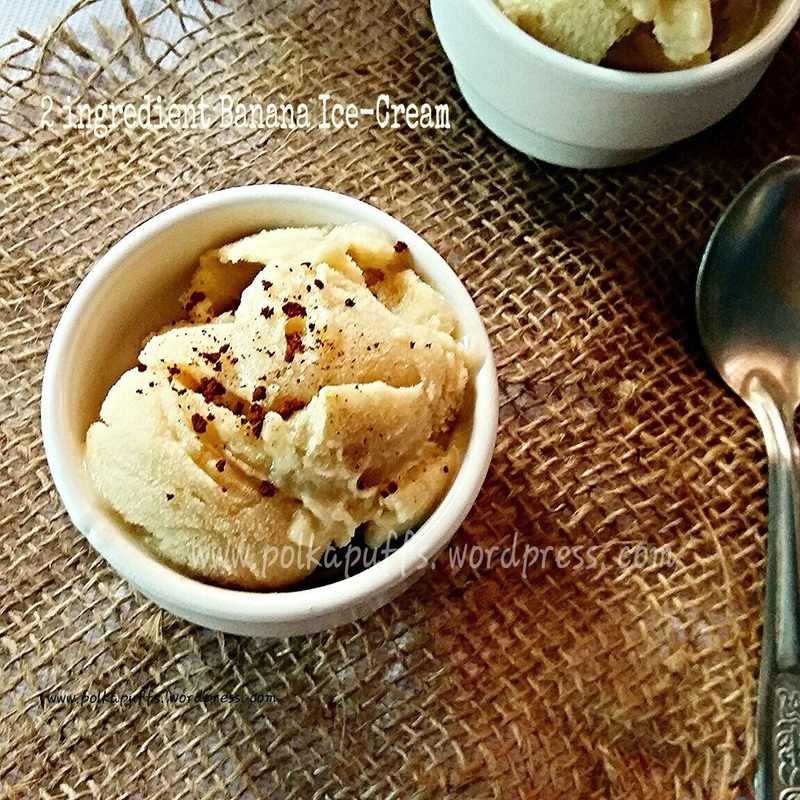 Pingback: Custard & Rose Ripple Ice Cream | Polka Puffs!